1. First of all Mr. Saponaro, could you please tell us about yourself? When and why did you start your career in shipping? I started twenty-five years ago, working in a small branch of a freight forwarding company. It was only my boss his secretary and me, so the best environment in which to learn the basics in every field of logistics. Four years later my father, another partner at that time, and I founded the first freight forwarding company of the group. In 2015 we founded Africa Logistics Network and my father has been the chairman since few days ago. 2. I understand that you have established a network of freight forwarders called Africa Logistics Network. Could you tell us more about the advantages for freight forwarders in joining ALN? I’ll tell you why we founded ALN first. As has happened to many other companies, Logimar had a bad experience six years ago with a criminal company proclaiming to be a ‘freight forwarder’. As a result, we lost €35,000. So, we decided to found a network focused on Africa and selected the best small and medium sized companies in the Black continent, all of them professional and financially stable. This is the big advantage, to be able to work everywhere in Africa. 3. How often do you meet in ALN and when is your next meeting planned? We have one meeting every year. Last year it took place in Dakar, in 2019 the meeting will be in ISTANBUL, as we are organizing annual alternate conferences: once in Africa and once outside the Black continent. The 2019 meeting will also be a special one because it will be held together with PLA (Project Logistics Alliance). On the last day, all our members will have the opportunity to meet and introduce themselves to PLA members and vice versa, obviously. 4. These days, there are a lot of networks out there and I hear from many readers that they receive invitations to join networks weekly, if not daily. How do you ensure that you stand out among these other networks? Well, we are the only network that covers 98% of Africa. This should be enough incentive if you are interested in working there. Also, ALN allows a limited number of members per country and many of them joined us in our first year. Actually, every one of our conferences contains a lot of one-to-one meetings, but mainly they serve as environments for us to all have fun together, which is really important to build confidence and trust between each other. 5. Does becoming part of ALN mean that you are restricted to only working with other network partners? No, there are no restrictions and every member is free to work with whomever they want. Obviously, we encourage members to work with the network partners and most of them do, particularly in Africa. 6. 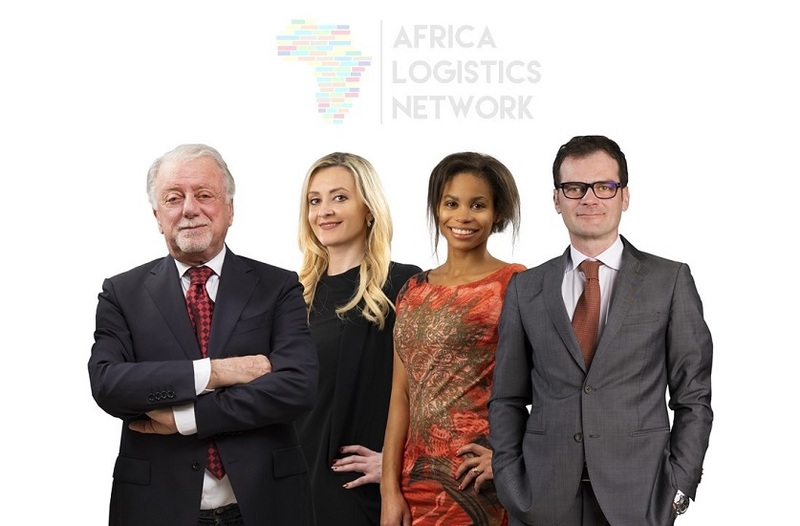 Regarding the name Africa Logistics Network. Does that mean it only involves companies located in Africa, or can it include anyone with an interest in Africa? ALN is a global network with currently 240 Worldwide members of which 80 in Africa. We are now focusing on Central Asia and South America’s West Coast, because it is not yet widely enough known that our network covers five continents, rather than only one. 7. Besides ALN, I believe you are also very active in freight forwarding with your own company, Logimar. Is that correct? What you can tell us about Logimar in shipping & logistics? Yes, Logimar is a freight forwarding company of almost twenty people, having also established a reputation in project forwarding. We will have our own booth for the first time at Break Bulk Europe 2019 in Bremen next May. Logimar is also a founding member of Project Logistics Alliance (PLA). 8. Italy is well known for having customers who, more often than not, demand a very long credit time. Isn’t that sometimes a problem for freight forwarders in your country to deal with? Also, does it mean that bigger forwarders have more power in Italy, or is there still plenty of room for smaller players? Yes, a lot of what you say is true, but the secret is quality. There are not a lot of freight forwarders in Italy that are able to deliver cargo to a foreign army in a dangerous area in central Africa, or able to handle refrigerated cargo out of the Kabul green zone. That’s only possible because of the quality of our partners. a/ being interested in Logimar, Italy? b/ being interested in a membership of ALN? Please use the following email addresses regarding Logimar and ALN respectively.